These evangelism resources will help you equip students to tell their friends about salvation through Christ. These resources can be ordered online. Prices are listed on each item. If you know of other good evangelism tools please let us know about them. The goal is to have a page full of youth ministry evangelism resources. Below are tools created by or used by Keith Manuel in his evangelistic efforts. We invite you learn more by clicking the title. Thousands of people have read and used this resource from Billy Graham. The look has been updated but the message is still the same. 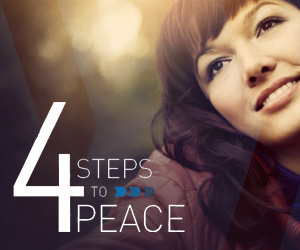 You can have peace with God. 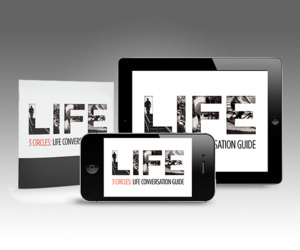 A new resource from NAMB that is a flexible Gospel presentation designed from real-life conversations a Florida pastor had with millennials about faith. Use Romans 6:23 to share the Good News of salvation in Jesus alone. Produced by the Navigators. 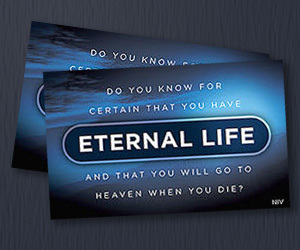 This tract is an in-depth conversation guide about eternal life. This is a timeless tract that thousands use to tell others about Jesus. It is available through NAMB and comes in several languages. 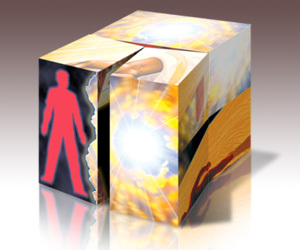 It is an inexpensive way to sow the gospel through a mass distribution or to use one-on-one. 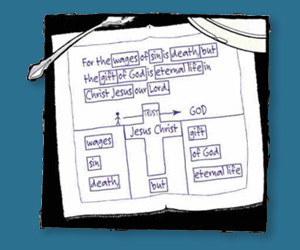 An excellent visual aid to share the message of eternal life through Jesus. Since it contains only pictures, this tool crosses language and cultural barriers naturally. It comes with a suggested guide, but you can tell the story in your own words. Young and old love this resource. Available from e3 Resources. 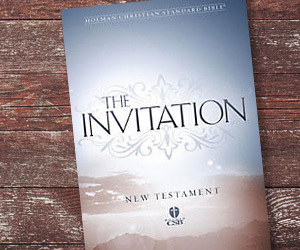 Keith Manuel Ministries distribute thousands of these small New Testaments per year. It is a great resource to use at fairs, parades, festivals, block parties or other places you want to sow the Gospel in mass. The Gideon’s International estimate their hotel Bibles are read by 2,300 people per Bible. Just imagine how many people you can touch by distributing these New Testaments in your community. You can purchase them through your local LifeWay store. Created by Dr. Keith Manuel. 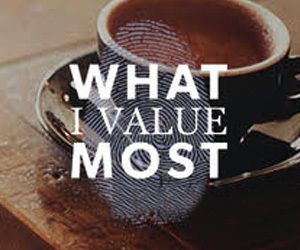 Read a story about how people have found their value in Jesus. People from every state in the United States and 75% of the countries in the world have read someone’s story of the value Jesus added when He gives someone eternal life. Share your story and touch the world. 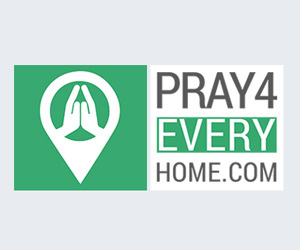 A movement of prayer about people loving neighbors and churches loving neighborhoods. 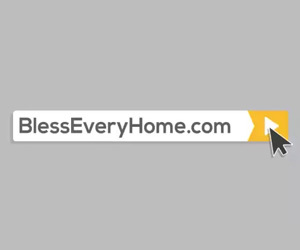 Praying for entire households to believe in Jesus. Sharing the gospel can be a daunting task for anyone. 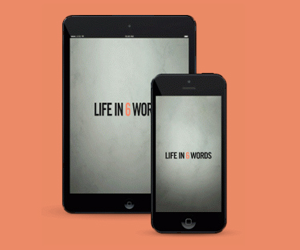 That’s why we have created the Life in 6 Words App: a simple and engaging way to share the gospel with anyone you interact with. The Middle School and High School campuses are one of the greatest mission fields in Louisiana. The following strategies can be seamlessly used to equip, empower, and encourage your students and church to reach that mission field. Your heart must be to minister to students and serve the schools represented in your church. Your goal is to gain the confidence of public educators and join them in their pursuit of educational excellence. To do this, it is important to establish credibility through ongoing contact with school administrators and staff. Here is a simple proven approach to accomplish it. Make and keep an appointment with the city mayor (sounds extreme doesn’t it). While at the appointment introduce yourself by presenting your academic accomplishments and how you have helped build the young people in communities. Assure the mayor you are there to help him contribute to a great community and you will work to help him accomplish his goals. Be sure to dress appropriately! Before you leave ask them if there is anything you can do to help, then offer to say a prayer for them. Make and keep an appointment with the parish superintendent (or whoever is in charge of the parish public school system). Do the same as you did with the mayor. Mention you met with the mayor and want to help them accomplish their goals. Before you leave ask them if there is anything you can do to help, then offer to say a prayer for them. Substitute teach for coaches on Friday so they can focus on game preparation. Dustmop the halls before school starts each morning—of course, praying as you go! Take up tickets at sports events like soccer, volleyball, football, etc. If you have a background in sports, band, clubs, etc., visit those club sponsors to see if you can help. Help the baseball coach stripe the field. You get the idea—do what you can, start where you are at, use what you have! There are hundreds of other ways to help. God will direct you as you get plugged in. The following resources as one strategy to reach the schools in your community. 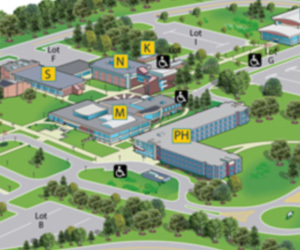 It is a foundation that enables you to build your own campus outreach strategy. Start by adopting a school, begin praying for that school, disciple students to be missionaries, and finally create or influence a club environment for them to be able to invite their friends to come hear a simple presentation of the Gospel. Once permission has been granted from the Christian club on campus, place boxes around campus where students can drop off prayer requests. These should be built so they are secure and have a slot through which to drop requests. The morning of club, club members get to school early, collect the prayer requests and pray over them.